What English teacher doesn’t like a good metaphor? In fact you could say the key to an English teacher’s heart is through a carefully constructed metaphor, rich with layers of meaning, embellishing on a universal truth in a way that is wonderfully enlightening. 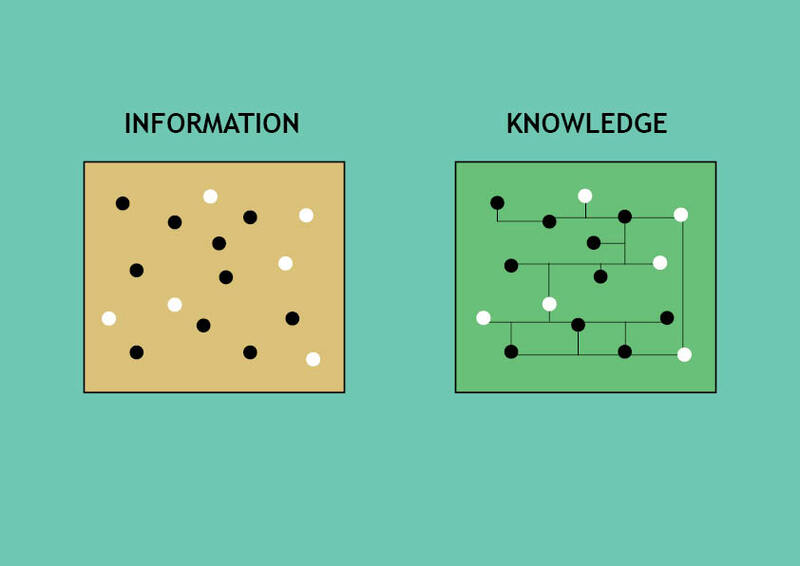 Which is why I was quite drawn to the diagram above as a means of distinguishing between information and knowledge. And what an important distinction it is! Recent human history has taken us from the industrial age, to the atomic and space ages before leaving us at present in the information age: a time when the answers to any questions we seek are just a few key strokes away. The same can be said for the students’ experience of learning. Text books, revision sites, class notes etc. all provide them with a wealth of information and arguably all they’ll ever need to know, but as the diagram shows, information is just simply a loose collection of facts, with no connections between them and thus no real sense of purpose. Knowledge on the hand can be described as ‘connected knowledge’ and to this end will lead to mastery of a subject or skill. The goal of a learner (and therefore the job of a teacher) is to turn information into knowledge. 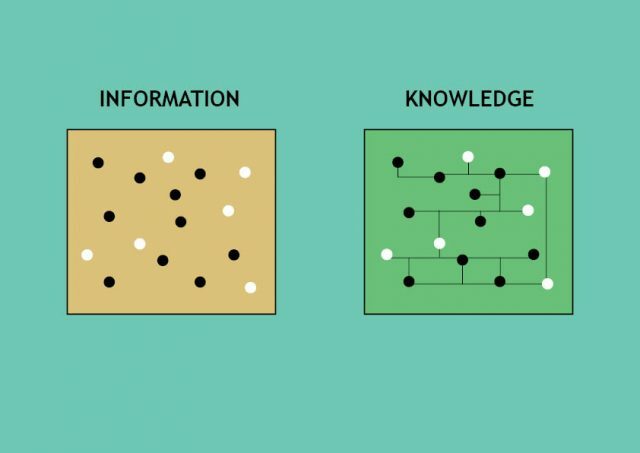 Ask the students whether they place more value on information or knowledge; then show them the diagram above. It is this realisation of the distinction between the two that adds even greater value to activities that encourage students to reorganise information by making links and connections and by sorting through hierarchies of what is important. Thankfully, there are a multiple of strategies to do this (just google ‘graphic organisers’). Many of which (Venn diagrams, mind maps, concept maps etc.) are used day in, day out by teachers. However, if you are searching for a more complex model from which to turn information into knowledge, then the metaphor of a tree works particularly well. 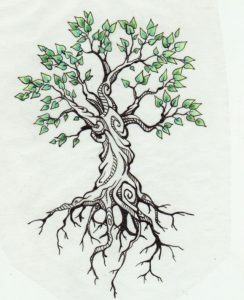 Treat the roots as the foundations / the necessary background to the concept, the trunk as the core knowledge, the branches as the important concepts that support the core knowledge and finally, the twigs and leaves as subsections of information that can help illuminate each point. The Roots: Who is he? What’s his role in the play? Who is he related to? The branches: his various character traits / actions. The leaves / twigs: quotes to support the character traits. It’s another of those widely transferable actives that can be used to quickly turn information into knowledge. Just have a stack of trees ready to pull out at a moment’s notice.